Ibtimes has published an article about the future of Ethereum. The Ethereum ecosystem is faring slightly better than bitcoin in terms of price. According to OnChainFX Ether prices grew 10,298 percent since this time last year. Organizations such as ConsenSys and the Enterprise Ethereum Alliance drove institutional engagement while the initial coin offerings fundraising trend created hundreds of new Ethereum-based tokens. On the other hand, Ethereum creator Vitalik Buterin has an ambitious roadmap for technical improvements this year. Plus, an academic study out of Cornell University argued there even more diverse Ethereum network nodes than there are comparable bitcoin nodes. 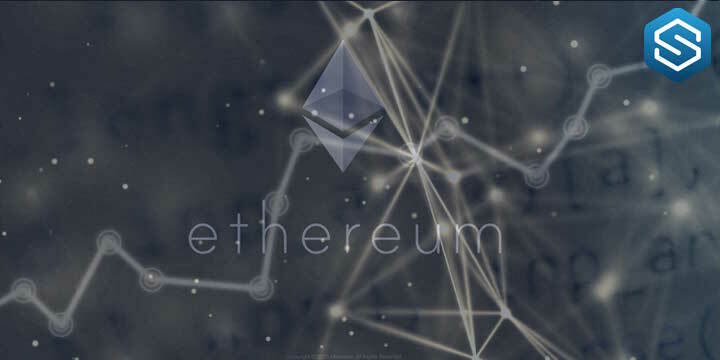 The study also asserted Ethereum’s ecosystem exhibited better variance when it comes to miners, making it easier for small miners to contribute. All things considered, the Ethereum community is diversifying rapidly. This could boost the network’s overall security. Much like the bitcoin network, relatively high transaction fees and network congestion hinder daily usage. Some experts speculate that Ethereum futures contracts, an unprecedented investment product with relation to this cryptocurrency, could be in the pipeline for 2019. If so, it could impact ether prices just as hype surrounding bitcoin futures influenced the broader cryptocurrency market in late 2017. Even if most experts predict the price of ether will rise this month, anything can happen in the world of cryptocurrency. Quartz reported hackers stole $400 million worth of ICO tokens so far, the majority of which were Ethereum-based. Many Ethereum wallets, such as Parity, appear to have serious vulnerabilities. Regulation, lawsuits and costly cyber attacks could all lead to unpredictable oscillation. A recent analysis of the charts indicate that the price of Ethereum (ETH) has continued to drop sharply. In fact, the rate at which the digital asset is falling is much higher compared to other assets among the top tokens. This continued downward spiral has surprised investors and is causing concerns among many regarding were the digital asset is heading. It appears that no bottom is OK for Ethereum (ETH) as it continues to drop. Currently, Ethereum (ETH) is trading around $103. This shows that the digital asset has fallen from approximately $1200 since the start of the year. Thus, the token has lost over 90% of its original value due to the highly volatile market. Ether is at risk of going into double digits because the next support area for the cryptocurrency is at the $100 position. There’s a psychological and technical support. Which is why the support line is very important. The last time ETH saw these levels was May 2017. At the time, the digital asset had formed a support of $91. This clearly indicates that if the price of the digital asset breaks the psychological and technical support area of $100; it can drop to $91. This is the primary reason why it is crucial for the digital asset to retain the $100 support of area. The issue is that the downside momentum is ferocious to the point that it might break $100 as well. Double digits for ETH is now becoming more of a possibility rather than an imagination. Hence, the reason why investors remain sceptical about Ethereum (ETH) considering the significant amount of value it has lost. The founder of Trading Analysis, Todd Gordon, predicted that bitcoin (BTC) would drop to $4,000 before rebounding to $10,000 next year. He made this comment on June 22 on CNBC Stock Draft.
. His reason for this prediction is market volatility. He was urged to speak about his estimates, and he quoted a beautiful uptrend calling the recent correction from $19,000 “inconsequential” considering bitcoin (BTC) price gains since the year 2015. Gordon gave reasons for believing that the crypto market is technically driven and reckoning on market sentiments and technicalities could help recover losses in the future. The analyst’s site TradingAnalysis.com offers trading strategies and market analysis. Gordon has predicted about other markets and commodities such as crude oil. When crude was trading at a $41 low in November 2015, he predicted a decline to $26. In a few months, crude started trading at $26.05. John McAfee, Bitcoin supporter and founder of the popular McAfee antivirus software, is being very positive about Bitcoin. He predicted that Bitcoin price will hit $1 million by 2020 following last year’s prediction of $7000 which was well surpassed. Bitcoin Price Prediction Tracker portal, Bircoin.top, did the maths and explain that Bitcoin needs to grow daily at 0.4840957034310259% per day.to meet McAfee’s prediction. However, to hit McAfee’s target, BTC would end the year just over $29k. Crypto investments are new and super-risky. Remember ethereum founder saying that cryptos are so risky the prizes might actually drop to zero. Well, that doesn’t seem practical but the message was clear. Do not invest your life savings in bitcoin or cryptocurrencies generally. Just like John Draper noted, you still need to buy stuff in fiat. So while bitcoin will likely worth a lot more in the future, it’s advisable to invest just as much as one can afford to lose.